At The Maguire Law Firm, we devote our efforts to helping those suffering from a debilitating injury or devastating loss caused by another party's negligence or wrongdoing. Our law firm located in Myrtle Beach, South Carolina, is conveniently located at 1600 North Oak Street, Suite B. Our practice focuses on personal injury law, including automobile accidents, workers' compensation, and wrongful death. Whether you were hurt on the job, in a car accident or through some other preventable tragedy, you can rely on our firm to help you through this difficult time and guide you through the complex legal system. Ian Maguire has been practicing law for over 23 years. 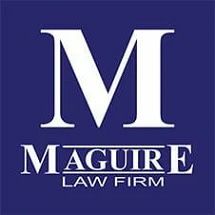 Maguire is active in the legal community and is a member of the South Carolina Bar, the North Carolina Bar Association, the American Association for Justice, the South Carolina Association for Justice, and the Injured Workers’ Advocates of South Carolina. He was selected as a member of the 2015 Nation's Top One Percent by the National Association of Distinguished Counsel and is a life-time member of the Multi-Million Dollar Advocates forum. Maguire has been a Super Lawyer for five years (2010-2014) and has an AV Preeminent Rating for ethics from Martindale-Hubbell. To discuss your situation free of charge, we invite you to contact our law office or visit our website to schedule a free consultation. (Initial consultation is free. Fees are computed before deducting expenses from recovery).